Holiday Rental House / 4 Bedrooms, 2 Bathrooms, Sleeps 8. This holiday home features a short walk to the beach, outdoor solar heated pool. Entertains up to 8 guests. 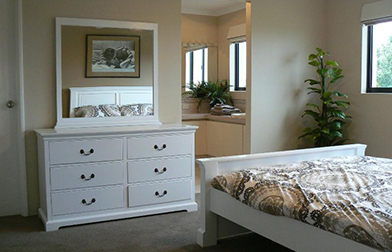 Le Boulevard is a well featured holiday home in the northern coastal suburb of Quinns Beach. Just 300 meters to the Indian Ocean. Enjoy the view from the balcony as the ocean view allows you to see the sunset on the Sunset Coast. Le Boulevard is equipped with quality furniture and appliances and offers everything you need for an unforgettable break, stay or holiday. "Brilliant place to stay" 5/5 stars - May 2015 Wonderful location, clean and very roomie house with everything you need. Will stay there again. I would recommend this wonderful house to all my friends who will visit WA.